The California Fisheries Portal will serve as a web-based central repository and public interface for marine fisheries information in the state and will include information from the Enhanced Status Reports, once complete. Initially, the fisheries portal will focus on the 36 species currently being prioritized as part of the MLMA Master Plan for Fisheries Interim List of Priority Fisheries, but it will be constructed to allow for the inclusion of additional species over time. The process of creating the portal will include a series of multi-interest roundtable discussions, including at least one webinar, to inform the design and development of the fisheries portal and advance the state’s implementation of the MLMA Master Plan for Fisheries. Ultimately, the fisheries synthesis reports and the California Fisheries Portal projects will improve the management of the state’s fisheries by facilitating implementation of COPA and the MLMA through providing up-to-date, species-specific information on state fisheries that is publicly accessible and presented in a useful format to inform sustainable use and conservation of California’s marine resources. The California Ocean Protection Act (COPA) directs the OPC to (1) support state agencies’ use and sharing of scientific and geospatial information for coastal and ocean decision making and (2) ensure that this information is publicly accessible and that tools are available for visualizing and analyzing these data (COPA Sections 35620, 35621). OPC is funding the collection and synthesis of information on 30 state-managed marine species that could inform CDFW’s development of an Enhanced Status Report. Once an initial set of Enhanced Status Reports is completed by CDFW, the goal is that Enhanced Status Reports will form the core content of an online California Fisheries Portal. 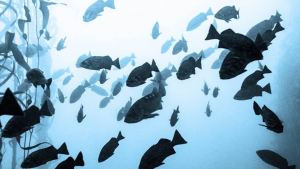 This project will support convening a series of multi-interest roundtable discussions to inform the design and development of an online California Fisheries Portal.